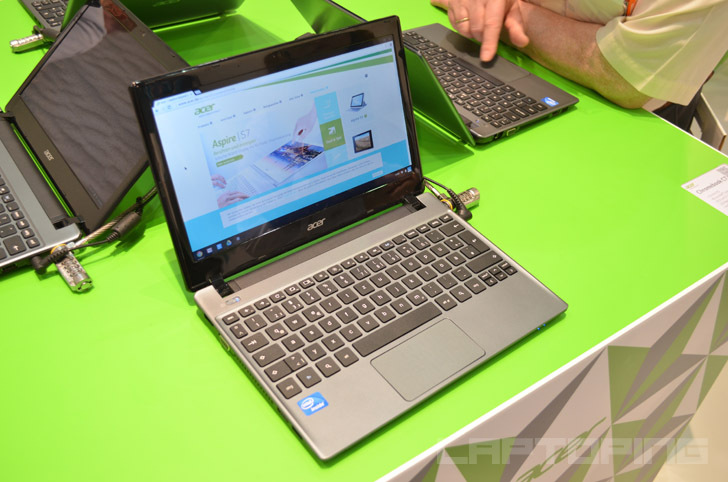 Laptops, netbooks, and tablets by Acer, one of the world’s largest PC makers. Acer’s latest Iconia W4 8-inch Windows 8 tablet PC is now shipping to the US customers. The first model on offer is the W4-820-2466 with 64GB of internal memory and a price of $380. A 32GB version with a lower price is expected to hit the market soon, but the 64GB edition is still a recommended choice because Windows 8 installation takes up the largest portion of space on the 32GB one. As same as other late 2013 8-inch Windows tablets, the W4 is based on the Intel Atom Z3740 Bay Trail quad-core processor with a great power efficiency and basic computing performance. It’s coupled with 2GB of RAM. The display has a standard 1,280×800 resolution and IPS screen technology is included for better picture quality and viewing angles. 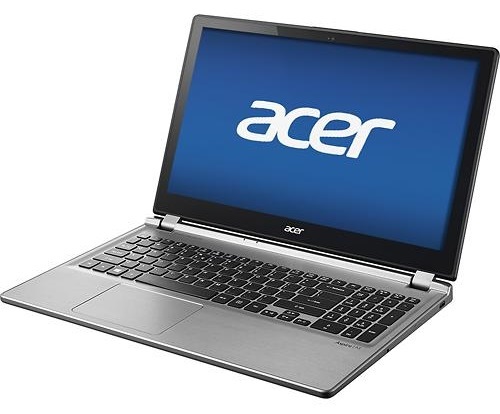 The $700-dollar Acer Aspire M5-583P-9688 is a thin-class 15.6-inch notebook PC with touchscreen input support, a fast Intel Core i7-4500U dual-core processor with decent Intel HD 4400 integrated graphics, a spacious 1-Terabyte hard disk drive, and equally generous 8GB of main system memory. 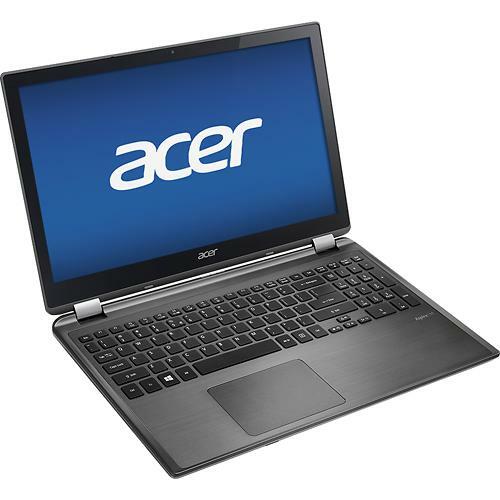 The Acer E1-572-6648 15.6-inch model from the budget Aspire E-series consumer-class lineup is a well equipped one but still affordable. Instead of the usual Intel Pentium or Core i3 processor, 4GB RAM, and a 500GB hard drive, the E1-572-6648 sports the 4th Gen Intel Core i5-4200U dual-core CPU, 8GB of RAM, and a 750GB hard drive. As a consequence, the usual sub-$500 price tag is replaced with a price of $614. A concession made to lower the price is the chassis, which is made of glossy black plastics, instead of more durable and stylish aluminum. The new Google Chrome OS based mini laptop has arrived. 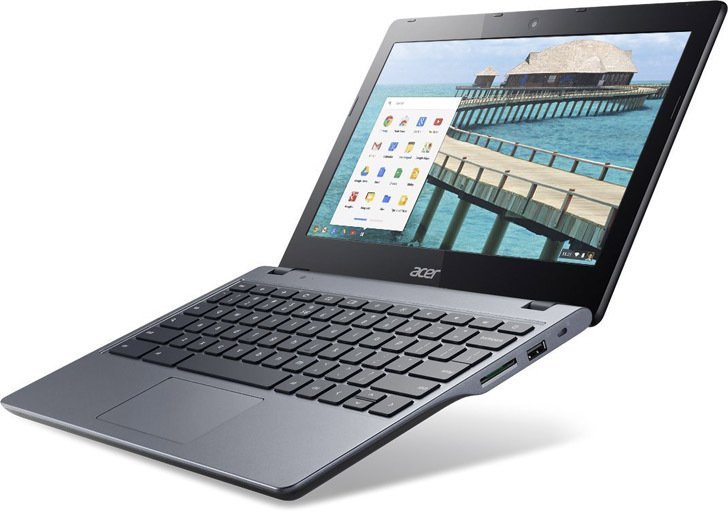 It’s the 11.6-inch Acer C720 Chromebook, bringing a new processor as the main improvement over the older C710 series. The first and only available model is the C720-2800, featuring the Intel Celeron 2955U dual-core processor at 1.4GHz from the latest “Haswell” family, 4GB of RAM memory, and a 16GB of internal flash storage plus 100 GB of free storage on Google Drive for two years. 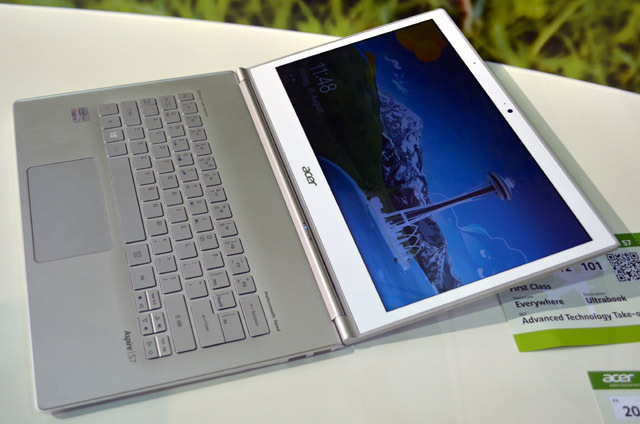 The Acer Aspire R7 series with its “neck” or officially “Ezel hinge” and the trackpad positioned above the keyboard is one of the innovatively designed laptops on the market and surely the weirdest looking one. Besides different keyboard / trackpad input experience, it has ability to keep the 15.6-inch touch-screen in various positions – from rear-facing and laptop modes to almost flat tablet mode and all positions in between. 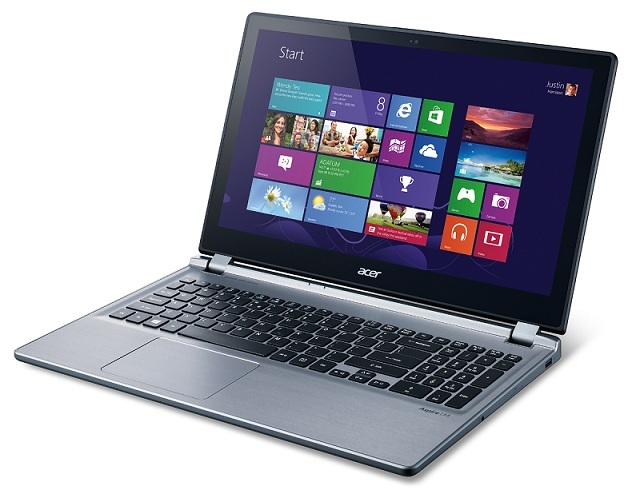 The R7-571-6858 is one of the Acer Aspire R7 configurations, providing mid-tier internal components at a price of $900. 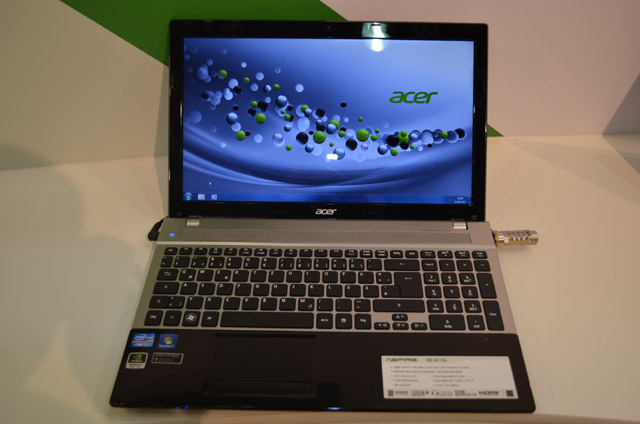 Acer has updated the processor on its C710 Chromebook. The refreshed version of the Google Chrome OS-powered mini laptop with a 11.6″ display sports the 1.5GHz Intel Celeron 1007U dual-core instead of the 1.1GHz Celeron 847 dual-core. Although the 1007U is rather a very entry level CPU than a speed deamon, peformance increase of the C710 is noticeable. For instance, the Passmark score of the Celeron 1007U is 1,379 points, whereas the 847 scores just 985. That’s Windows-based benchmark, but it describes performance difference between the CPUs well. Multi-tab web browsing is a bit quicker and the new C710 plays 1080p Youtube videos without a glitch. The 15.6-inch Acer Aspire M5-582PT-6852 laptop has arrived on the market, with a mission to deliver touch-screen experience on Windows 8 in a sleek aluminum package at an affordable price of $580. Despite the low price, Acer’s M5-582PT-6852 doesn’t suffer from performance shortcomings, since it relies on the fairly decent 3rd Gen Intel Core i5-3337U processor with two cores and a clock speed of up to 2.7GHz. With help of included 6GB of RAM, the processor is capable to effortlessly tackle complex and demanding tasks such as video and photo editing, besides normal everyday home and office computing. The laptop doesn’t have a dedicated video card, so it is incapable of serious 3D gaming. 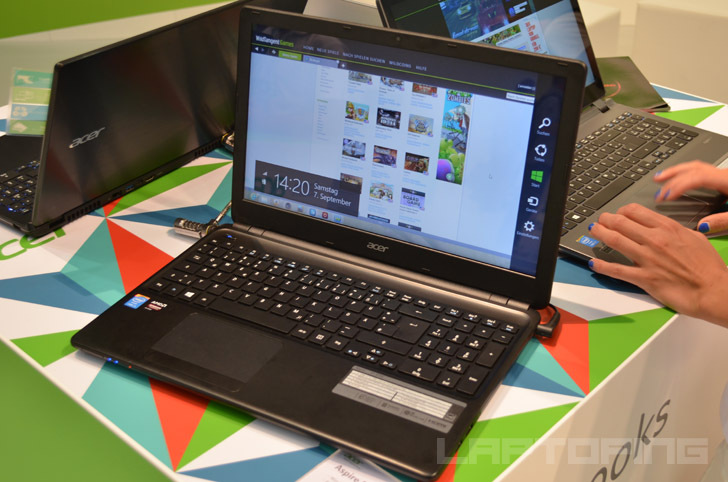 The Acer Aspire M5-583P-6637 and M5-583P-6428 are slender laptops, but they doesn’t make compromises because of that. They’re fully-featured and speedy 15.6-inchers with touchscreen support, the latest Intel “Haswell” i5 processor, and an admirable connectivity feature set. In addition, the components are encased in an attractive-looking brushed aluminum chassis in silver color, measuring 0.9″ in profile. One of the best crafted laptops from 2012 was the Acer Aspire S7 ultrabook with a 13.3-inch touch-enabled display. The company has recently refreshed the flagship ultrabook with the Intel “Haswell” processors, officially called 4th Generation Intel Core, a larger capacity battery, improved keyboard, optionally above 1080p-resolution display, and some newly added features. 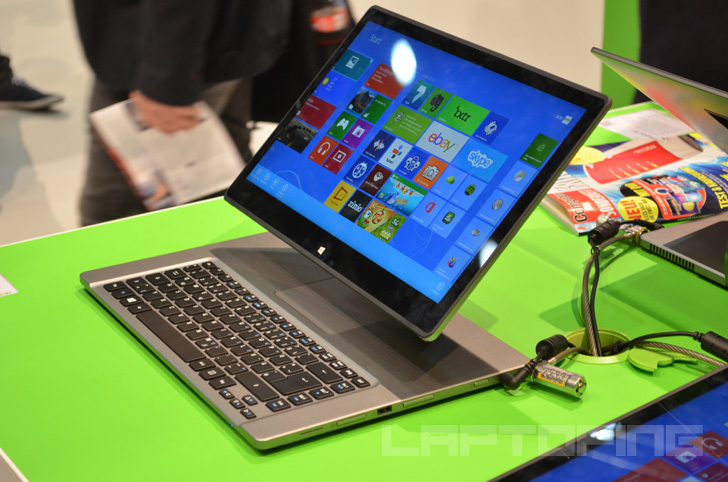 Now, the new version is available for pre-order in form of two models: the Acer Aspire S7-392-6832 and S7-392-9890. The former comes with the 4th Generation Intel Core i5-4200U dual-core processor at 1.6GHz or with Turbo Boost activated up to 2.6GHz, and a 128GB solid state drive, whereas the latter sport the Intel Core i7-4500U at 1.8GHz to 3.0GHz and a 256GB SSD. If you want to get an Intel Core i7 quad-core based laptop PC at a relatively low price, the Acer Aspire V3-571-9831 is one of the best options to consider. As the crowning feature of the system, the 15.6-inch V3-571-9831 delivers the 3rd Generation Intel Core i7-3632QM quad-core chip running at up to 3.2GHz for a price of $700.